I’ve got a brand new version of my Leadership Books list. My previous list just did not do justice to the space. I think this list now gives everybody a better chance at finding the gems, learning some of the best insights, and turning insight into action. My leadership books list is a unique collection of many of the insightful books on leadership. Rather than measure a book on readability or entertainment value, I measure these leadership books by their insight and their usefulness. I test them against results on the job, so I’m looking for books that I can use that make a difference. I also tend to find out about interesting books from colleagues at Microsoft because I’m always asking them which books are making a difference for them or what books do they recommend. My list gets stronger through the collective wisdom. I organized the list of leadership books so that you can quickly scan it. Up front, I put new leadership books in the space, followed by a vital few set of books that I think of as cornerstone works. 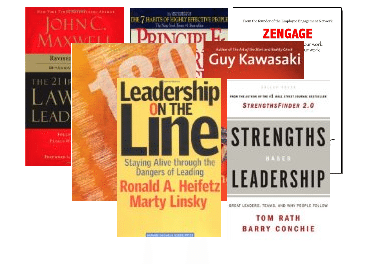 I then follow that with a more comprehensive A-Z list of leadership books so that you can quickly scan and compare the list of books to what you already have or know about. I chopped the list at at certain point when it felt like diminishing returns. What’s interesting about having an organized list of leadership books, is that if you know what the main nuggets of insight from each book, then you basically a map of the leadership space. At a glance, you can quickly see patterns. You can see where the leadership domain is over-crowded and where it’s underserved. You can also see the general nature of contributions to the space, as well as the amazing contributions by certain individuals, such as John Maxwell. 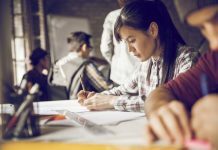 It’s also easier to see unique contributions that stand out from the rest because of the piece of the leadership space they tackled or how they’ve tackled it. 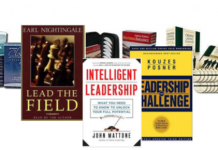 Browse my Leadership Books collection and let me know what books I should consider adding or removing. Keep in mind that it’s a living list and I can shape it through your feedback. Oh, wow! This Maxwell guy is in the business of massive production of leadership books, eh? I feel honored and inspired to be included with such a fine list of leadership books and to see the small and humble little Zengage: How to Get More into Your Work to Get More Out of Your Work there with great books from: Li, Covery, Maxwell, Godin, Kouzes and Posner. This is a strong incentive to keep writing and working and ensuring that one of my 3 daily stories is the completion of the next book. You made my day J.D. What a fabulous list and your opening quote requires me to share a story. I read a great deal of Emerson and Thoreau along the way…I was repeating it to another young camp counselor as we were blazing a trail through the woods to a new outhouse at the retreat center, when I suddenly got stung by bees – that’s plural bees. We had gone over a fallen log, and I was 6th and last in the workers and we had excited the bees to riot stage. I was taken to the nearest hospital and later picked up by my parents to go home. The nurse on duty decided to count the stings by daubing with calamine lotion each one – she had to stop counting at 844, because my parents arrived. I was very ill for nearly a week, but one doctor thinks it may be why I have no arthritis now? Love this resource you have created! What a great list, with many on here that I’ve heard of but not read. One possible suggestion as an addition to your list: “Never Eat Alone” by Keith Ferrazzi. 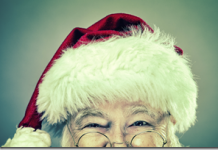 JD- nice list. I’ve read many of these…most recently 180 – which is great and one of the best designed books ever, in terms of art and layout of the program. Please add one more book to your list…your own. I’ve checked out the wiki page and man it’s great. Absolutely great JD. Very well organized and easy to read. Can’t wait to review it all. Thanks for making it available to checkout. I believe in giving to receive what I find valuable, so expect a purchase in Q1 2011 from me. I’ll be sure to recommend to others as well. @ Alik — Thank you. He’s created an amazing collection. @ David — You’ve created a masterpiece of pithy prose that’s poetry in motion. You’re in good company for a reason. @ Jonathan — It’s worth a post, but I read a lot (I was regularly spending $300 a month on books.) I haven’t read enchanted yet, since it’s not out yet, but I got early previews and gave enough feedback (Guy Kawawaki asked me to be a reviewer) that I expect it to hit the mark. @ Jannie — I’m going to share how I read at some point. I think it’s important, and I think it’s different. I think it can help people get more insight and action from their books in way less time. @ Patricia — Thank you. Talk about paving a path! It looks like we both had our share of bee stings. In my case, a friend and I were stocking up on crab apples for our neighborhood crab apple fight. We thought we were getting pricked by thorns until we saw the swarm. @ Lance — Thank you. Good catch — I meant to add it, but somehow missed it. It’s there now. @ Jk — Thank you. 180 is a gem. Rob’s got a way with punctuating his points in a sticky, insightful way. You talked me into it — I added my book to the list. It makes sense since it’s about writing your story forward, and it works for teams too. Thank you for your kind words. Hi JD. I am honored to be included with that great list of authors… but I am just as honored to receive your personal vote of confidence. You are wise man with a ton of insight to offer the world. I always treasure reading about your unique and analytical way of thinking. @ Rob — You earned it. Your book is a timeless collectors item of pragmatic insight, you can use every day. Way to go. Great list! You might also be interested to know that Andria Corso, HR consultant and coach, has just come out with a great business management book titled, “From Gatekeeper to Trusted Advisor.” It is full of straight talk about proven and practical ways to transform HR professionals from gatekeepers to trusted advisors. @ Becky — Thank you! It sounds like a good book, and I like the framing.